Denver Broncos kicker Brandon McManus reacts after missing what could have been the game-winning field goal last week against the Houston Texans. Vance Joseph and the Broncos hit their bye week with a 3-6 record, in danger of posting back-to-back losing seasons for the first time since 1971-72. 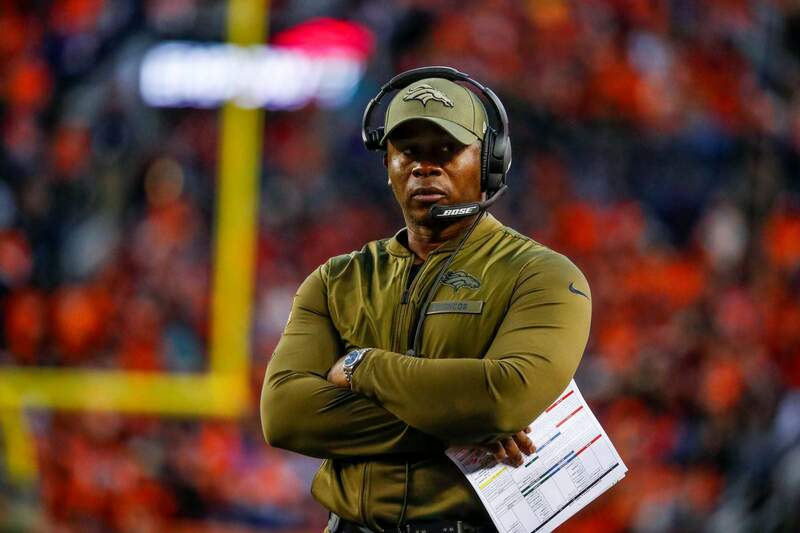 DENVER – Vance Joseph keeps losing games, but not his locker room. With the immediate impact of so many rookies and the strong, steady play of veterans Von Miller, Chris Harris Jr., and Emmanuel Sanders, the Broncos have enough star power to compete with the league’s top teams. Yet, Joseph has had to let both Bolles and Roby fix their flaws in the glare of games because of a lack of depth at their positions. They lost 27-23 to the Chiefs when offensive coordinator Bill Musgrave inexplicably went to three-wide sets on a crucial fourth-quarter three-and-out, giving the ball back right away to Patrick Mahomes for what turned into the game-winning drive. With Denver’s defense exhausted – Harris was taken off for IVs – what was needed instead was for the Broncos to run both the football and time off the clock.They lost 23-20 to the Rams when Sanders’ taunting foul resulted in a field goal instead of a touchdown, a four-point swing that proved to be the difference.They lost 19-17 to the Texans when Brandon McManus missed a 51-yard field goal as time expired after Joseph decided he was close enough after reaching the Houston 32 with 38 seconds left. 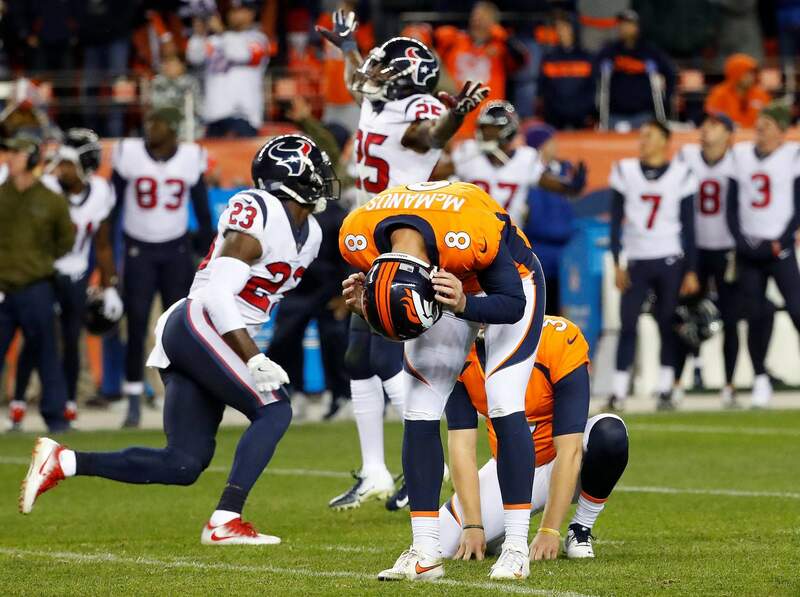 The Broncos ran down the clock to 13 seconds before snapping it again and Lindsay lost a yard.McManus, who missed a 62-yarder in the closing seconds of the first half, allowing the Texans to go down and kick a field goal for a six-point swing, had never missed consecutive kicks as a pro but was again wide right.